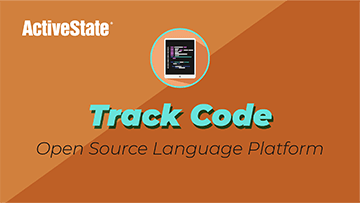 Watch a 5.5-minute demo that shows how a single developer can create an open source runtime in just a few minutes, without the need for a team of build engineers. 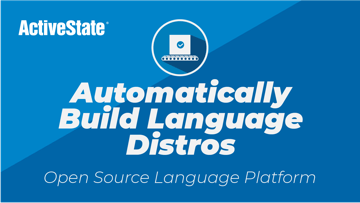 Make polyglot development easier by automating your build engineering cycle, dependency management and checking for threats and license compliance. Watch the Platform trailer. 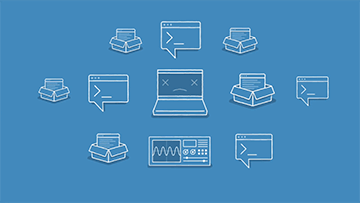 Watch a 3-minute demo that shows how to you can track your teams’ software development best practices from initial coding through to production. 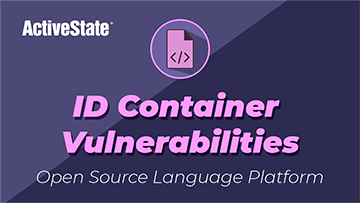 Watch a 2-minute demo that shows how you can monitor the security and compliance of your Python code running in a Docker container. Watch a 2-minute demo that may change your mind about how you currently secure your Python scripts, services and applications. Watch the short demo. 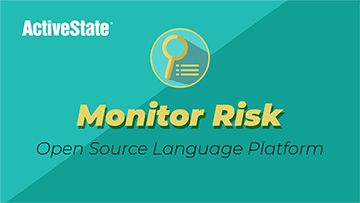 Watch a 2-minute demo that shows how you can identify the risk level of a Python application, as well as understand the length of time the application has been at risk of being compromised. 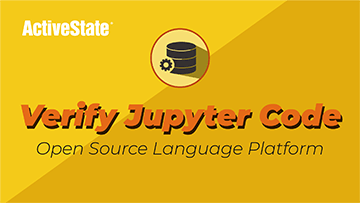 Monitor and track the security and compliance of code generated in Jupyter Notebooks. 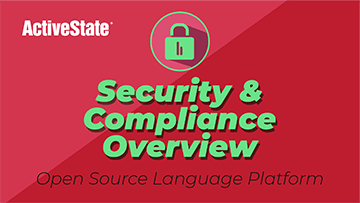 Identify vulnerabilities, outdated code, poorly licensed libraries and more. Watch the short demo. 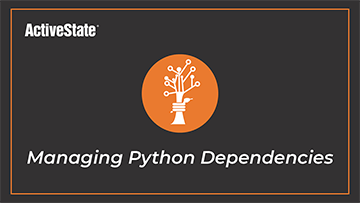 We overview common methods of working with complex dependency trees in Python in this excerpt from our webinar: Managing Dependencies & Runtime Security. 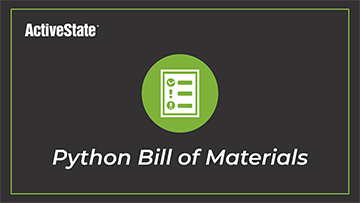 By instrumenting your Python application, any stakeholder in your development process can log into the ActiveState platform to gain a “Bill of Materials” view of all the packages in your Python applications.